Dell had originally launched the XPS lineup of laptops as Xtreme Performance Systems, targeted specifically at enthusiast gamers and users who needed a portable graphics powerhouse. However, since the launch, Dell has been mixing its laptop lines and came up with models like the Studio XPS and the Adamo XPS. In the process, the original XPS was completely sidelined. Now, Dell seems to be focused in reviving the XPS brand again, purely for gamers this time around. The new Dell XPS lineup consists of three variants – Dell XPS 14, XPS 15 and XPS 17. They are better, faster and way more stylish than the original ones. The Dell XPS 14 starts at around the $899.99 mark for the base config and you can upgrade it to better components as you want. The Dell XPS 14 is a very stylish machine with an anodized aluminum lid and bottom panel. It is quite sleek, with dimensions of just 13.9 x 9.7 x 1.3 inches and a weight of about 5.8 pounds. It is a bit bulky when compared to comparable laptops like the HP Envy 14. When you flip open the display, you can see the brushed aluminum covering around the keyboard and touchpad. It looks extremely classy, without being over the top. It can easily pass as a business laptop. The Dell XPS 14 comes with a standard 14 inch TFT display with a default resolution of 1366 x 768 pixels. This resolution is ideal for a display this size. The brightness and the contrast offered by the display are quite good, but the viewing angles, especially the vertical ones aren’t that great. Having said that, watching videos and movies on the display is a pleasure. On the top of the display, is a HD webcam which allows you to record video at 720p. It offers the best quality for video calls over Skype etc. The Dell XPS 14 comes with a very impressive set of speakers. 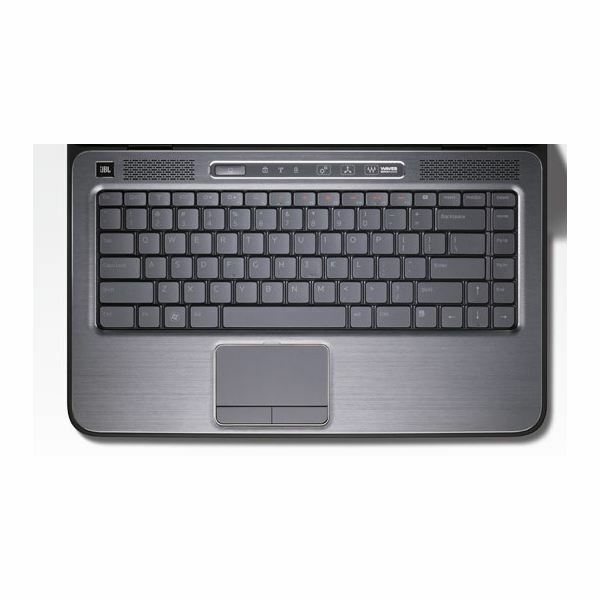 It is loaded with JBL speakers which offer the best audio experience among other laptop speakers. They are quite loud and the sound output is very clear. The two 3W speakers are placed between the display and the speakers. The Dell XPS 14 sports an old-style standard keyboard, unlike the chiclet style keyboards that are in vogue these days. The keyboard is quite good with nice key spacing and travel. The keys have a nice feel and have a backlight toggle option. Below the keyboard is the touchpad. It is a standard touchpad with two mouse buttons below it. The touchpad is 3.2 x 1.8 inches, wide enough to traverse the display without any problems. It is very sensitive and has a nice texture. The Dell XPS 14 comes with some really good hardware specifications. The base config, the cheapest one at $899, has a Intel Core i5 460 M processor clocked at 2.53 GHz, 4 GB DDR3 RAM and a 500 GB 7200 RPM hard drive. It runs Windows 7 Home Premium and comes with the Nvidia GeForce GT 420M with 1 GB of video RAM. It has the Optimus technology which allows switching between the discrete graphics and the integrated graphics for optimal power consumption. The Nvidia GeForce Gt 420M can easily handle all recent games with decent frame rates, even at high resolutions. The other hardware specs are more than adequate for normal usage like movies, documents, web browsing etc. The Dell XPS 14 is powered by a 6 cell Li-ion battery rated at 56 WHr. It lasts for about 3 hrs and 20 mins with standard usage. It comes with the standard array of ports – headphones, Ethernet, HDMI, Mic, Mini Displayport, USB, eSATA and a card reader. It also offers Wi-Fi 802.11 /b/g/n and Bluetooth 2.1 + EDR connectivity. The Dell XPS 14 is one of the finest gaming machines available today. 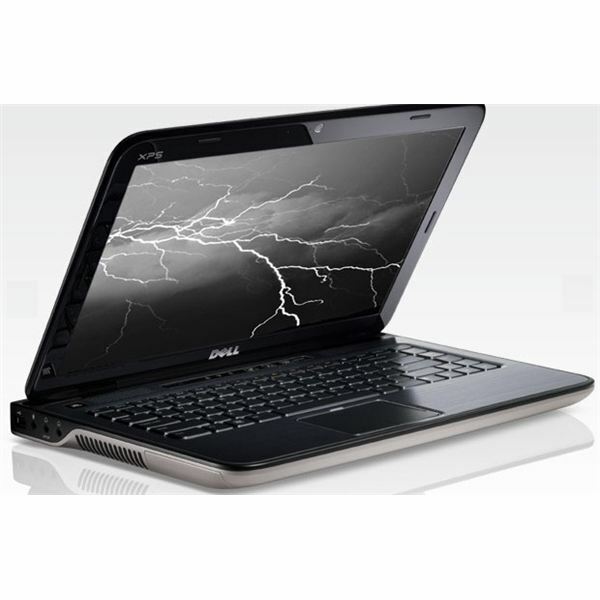 It has a very stylish design and comes with some of the best laptop hardware available. I would definitely recommend it.